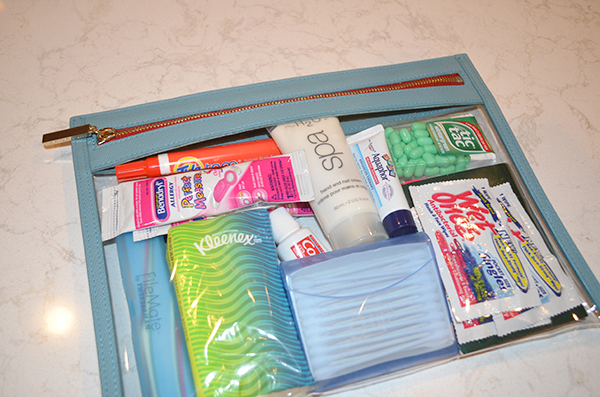 A few years ago, my mom and I started putting together these kits filled with lots of “just in case” items to keep in our cars, purses (diaper bag) or suitcases. We made it a project of ours to think of the things you always wish you had in a pinch and then headed out to the store to load up on essentials. 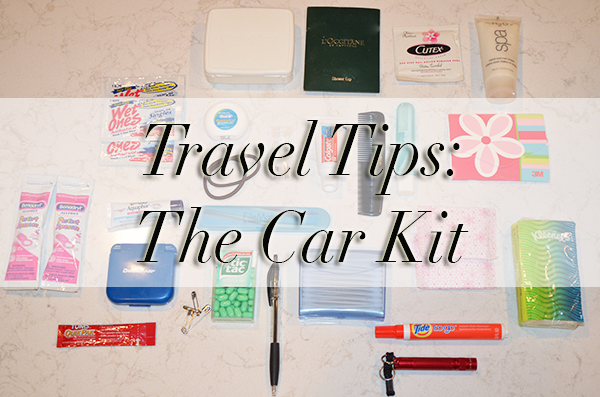 We called it a “car kit” because it was meant to be kept in the car (I now have this organizer in my car for Jackson’s stuff, so I keep mine in there), and added to for traveling or long trips. 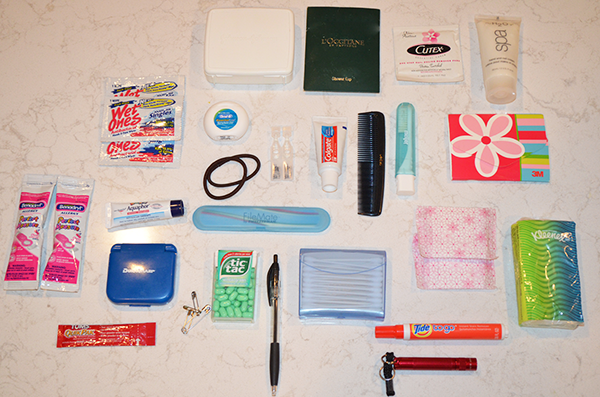 From the original version we created, I’ve modified my contents a bit to be more kid-friendly, but the idea always remains the same: an easy way carry around some of the items you don’t know you need until you ABSOLUTELY NEED them. A few times a year, I try to go through my kit and replace any items that I’ve used or any of the medicines that have expired. Fall always feels like a great time for a fresh start, so Labor Day/Back-to-School time is always one of those times. Cute pouch. Mine is Truffle, but you probably expected that. Looking for a few more packing tips? Right this way. So soft, so thin, so absorbent. Carefree® Acti-Fresh® daily liners leave you feeling nothing but fresh. Get $0.50 off any Carefree product at http://www.carefreeliners.com/carefree-coupons-offers.